OK, so it is official. We are now on the 3D printing bandwagon. 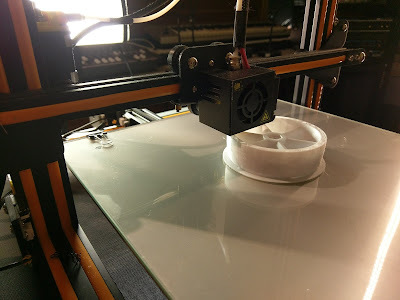 The proverbial We got a Creality CR10 3D printer shipped to the shop straight from PRC, and it has had lots of use the last weeks. As a complete beginner I had a lot to learn, however yesterday I put out my first ever DIY design on Thingiverse. The printer is awesome. It feels like I suddenly got a new super power; the power to create anything. But there is one big hurdle, and that is time. It takes forever to print even the tiniest of things! So I have experimented a bit with settings and found some optimizations that I would like to share. First a general note on optimizations; this will most probably only work on the Creality CR10, using gcode generated by Cura, and even using the exact PLA brand I am using (Gold Camel). So what will affect the print speed? 10% 100% How is this even possible? You do it by making sure your model contains the necessary structural elements by hollowing it out where you need less structural strength and filling in when you need more. This has a bonus benefit that you can shape your custom "infills" to improve the weaknesses in the structure. 0.8 mm 2 mm Will affect appearance, the model will look more coarse. 60 mm/s 100 mm/s If you go too high, the motors might start skipping steps or the extruder might not be able to put down enough PLA. 100 mm/s 300 mm/s If you go too high, the motors might start skipping steps. 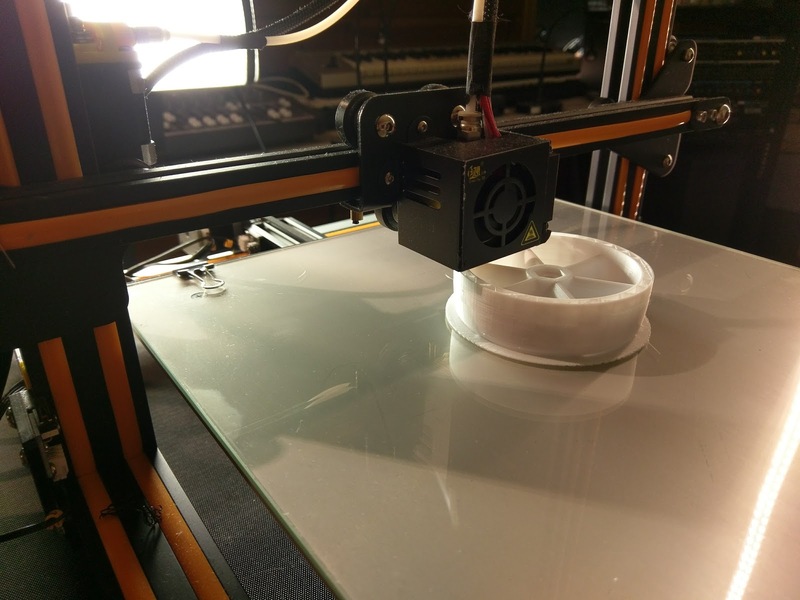 200 ℃ 205 ℃ This provides better layer adhesion, and might be required if you increase print speed. 50 ℃ 70 ℃ This provides better bed sticktion on clean glass with raft, and might be required if you increase print speed. 25 mm/s 60 mm/s If you go too high, the extruder motor might start skipping steps or retraction might not work as expected. 6.5 mm 1 mm If you go too low, you might get artifacts such as stringing. 15 mm 5 mm There are many ways to do adhesion. I like best a clean glass plate with a small raft, and raft margin gets really important for small parts. 2 1 I found 1 layer is more than enough for the raft.